If you’re boarding your cat, the chances are that you’re busy preparing to go on holiday, away for business or possibly even moving country. You’ve got a lot to think about! Here’s a list of things you need to remember for bringing your cat to the cattery and things you can do to ensure that the experience is as calm as possible – for you and your cat. I hope it’s useful! Your cat’s Feline Flu and Enteritis vaccination certificate: I need to see this. If you can’t find it, you can ask your vet to provide a letter confirming that your cat’s vaccinations are up to date. If your cat is very young, please note that first vaccinations need to be given at least 4 weeks before boarding. A note of when you last gave your cat flea and worm treatment (these must be vet-recommended). Please note that I need to know products and dates, and that Bob Martins is not acceptable. Your cat will be in a lovely big, warm cabin here, but he or she will appreciate having things from home. 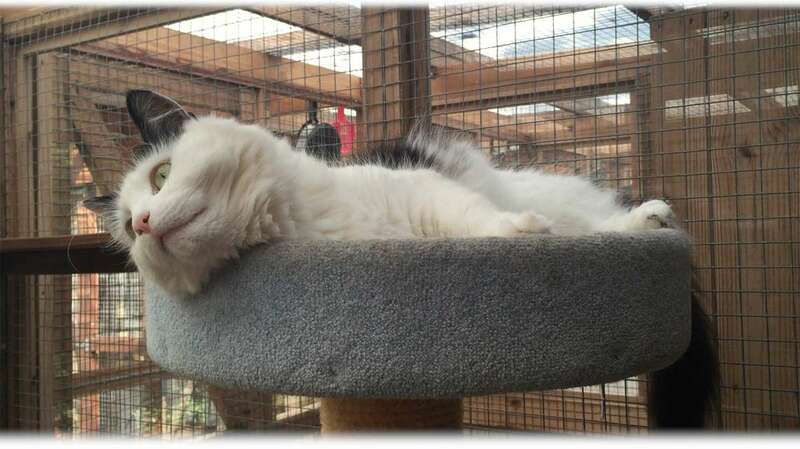 Please bring clean bedding, something that smells of the family (a t-shirt, nightdress) toys and anything else that you think will make your cat feel more at home – and that can be accommodated in the cabin! If possible, try not to start packing until you have brought your cat to the cattery. If you do have to start packing then do it in a room that can be shut so they don’t pick up that something is happening. I try to groom cats whilst they are staying with me, but ask that they are groomed and dematted before they come. Cats that are matted are very uncomfortable and unhappy, their movements can be restricted by the matting, which can tear skin and also harbour dirt (faeces). Groomed cats are noticeably happier! For safety reasons, I ask you to remove your cat’s collar before bringing them to the cattery. 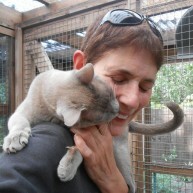 I give each owner a 30-minute appointment to deliver and to collect their cat or cats. This time is exclusively yours (I don’t double book or permit unannounced visits) for you to settle your cat in their cabin on delivery, and coax them into the carrier on collection. We will also have time to talk about your cat’s preferences and how they have been during their stay, as well as to attend to any paperwork. Not to pick up on the way back from the airport or ferry: cramming them in with the suitcases and children will make them arrive home stressed. If your cat doesn’t like the carrier, bring it out 2-3 days before boarding; leave it open and toss some treats in every day so they start to associate it with something good (rather than a car journey or visit to the vet). Please don’t arrive here with the cat in your arms! Keep your cat indoors the night before bringing them to the cattery. If he or she is prone to vomiting or soiling when travelling, keep them off food for several hours before boarding and, when you arrive, make sure you tell me that they need their breakfast / supper! Make sure you know the route to the cattery before you bring your cat. If you get lost on the way you will get stressed and this will transfer to your cat. Once your cat is in the cattery, and coming out of their carrier, I encourage you to stay with them for a few minutes, and let them explore their cabin. They won’t want to play with you and may even, totally uncharacteristically, hiss, growl or hurt you if you pick them up for a cuddle. Please don’t get alarmed or upset by this. Having just been in a carrier in the car (which most cats hate), they’ve arrived somewhere they don’t know and they can smell and hear other cats around them. They’re unsure and may need to stay hidden in their carrier. I don’t force cats out of their carriers, but place them under the chair in the cabin (unless they are too large), leaving them free to venture out and explore when they feel comfortable. It’s important for you to relax a little, unpack, do your washing etc – and then collect your cat when you’ve got time to spend settling them back home.